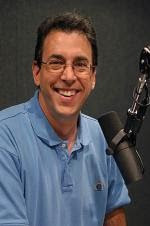 The famous radio show host Clark Howard, who helps people save more, spend less and avoid getting ripped off recently appeared on CNN and tells people that there are over $17 billion of US Savings Bonds that have not been redeemed and are no longer earning interest. So people are essentially giving the government interest free loans. You can see the Clark Howard Savings Bond video here. Or you can search to see if you have any savings bonds by going to http://savingsbonds.gov/. Just searching the web to see if you or your family members have lost money can really help have your ends meet during today's tough economic times.